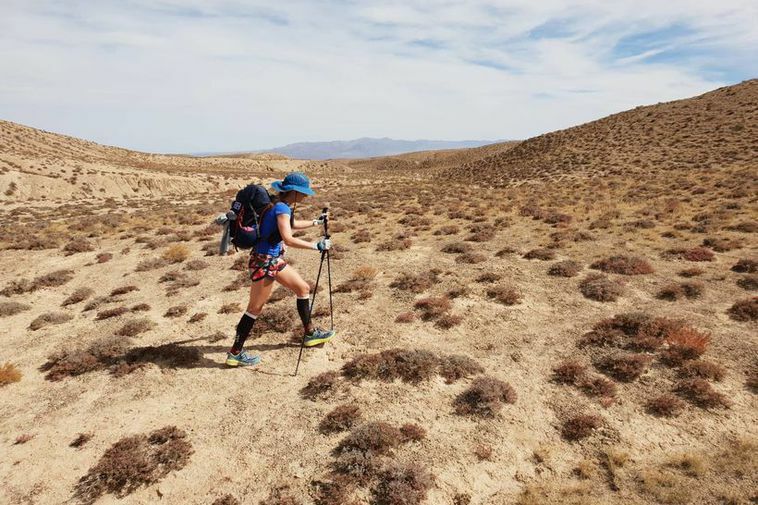 Elísabet Margeirsdóttir yesterday became the first woman in the world to complete the Gobi Desert Ultramarathon race in under 100 hours. The race is 409 kilometres and Margeirsdóttir was ninth out of 50 contestants to reach the goal. The run was even harder this year due to the fact that the course went up to an altitude of 4000 metres. Her assistant, runner Birgir Sævarsson said speaking to mbl.is that there was a lot of cold at that altitude. "She had to cross a river with a strong current and got wet and then her clothes froze." There are ten pitstops on the 409 long run where runners can rest and eat, but the race is a 400 km single-stage, self-navigated and self supported race traversing inhospitable terrain in the Gansu Province. "It's a contest in not getting any rest," says Sævarson. "She's done incredibly well and it's been wonderful to hear from her, she's fresh and on the ball and has made good decisions, but she needs to be careful to rest even if she's resting very little."